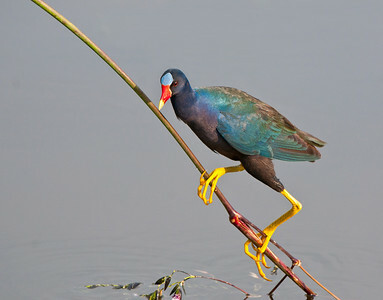 A purple gallinule clings to a twig in the wetlands. 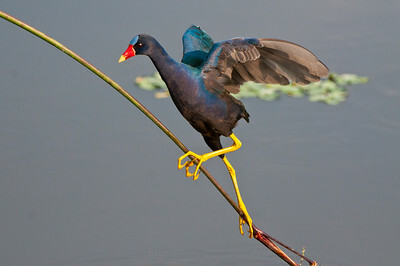 Purple gallinule clings to a twig in the early evening. Using its wings for balance a Purple Gallinule races up a twig to avoid an approaching gator. 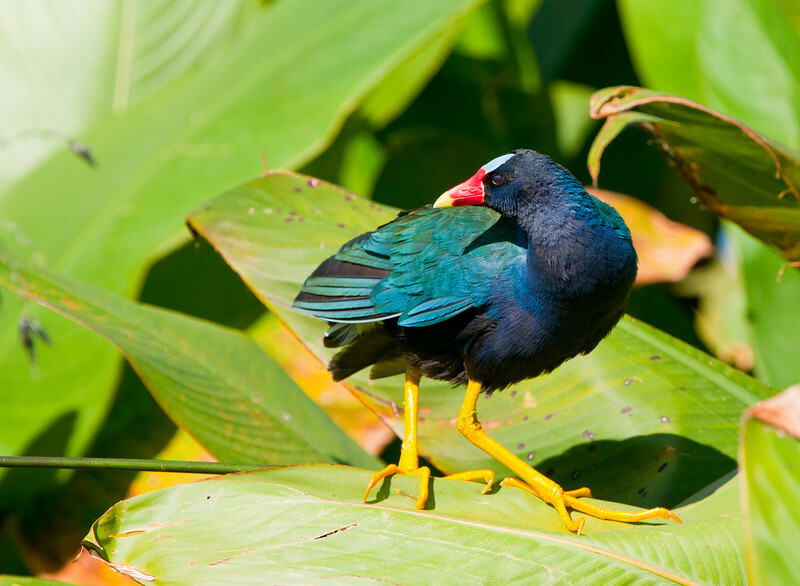 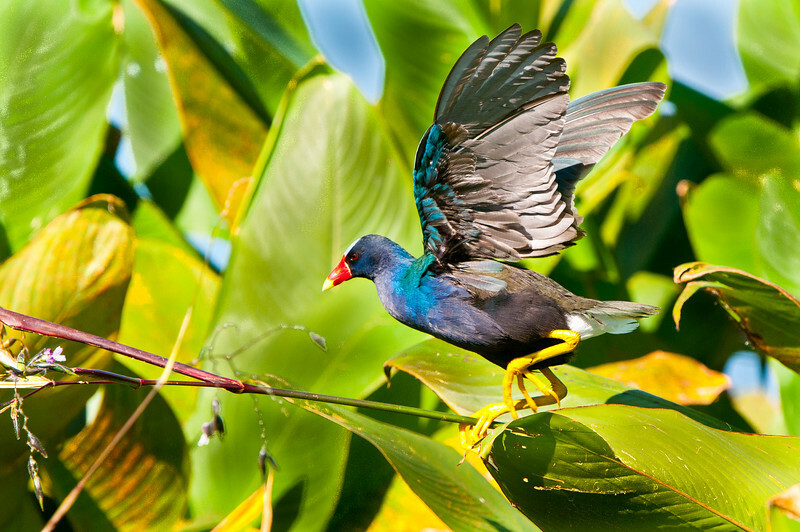 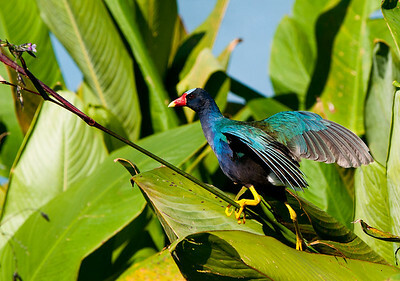 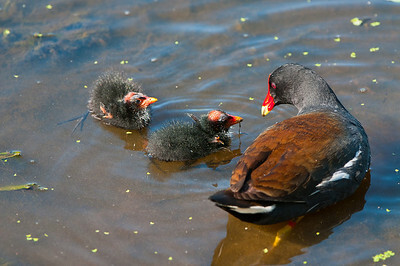 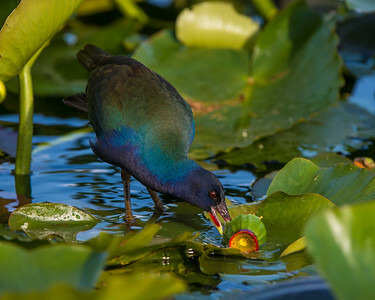 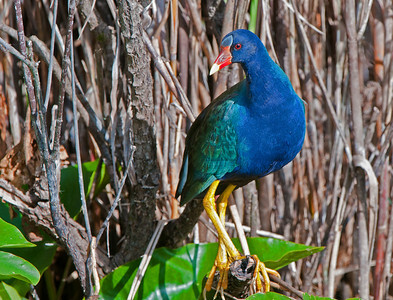 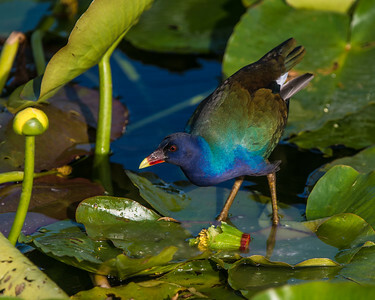 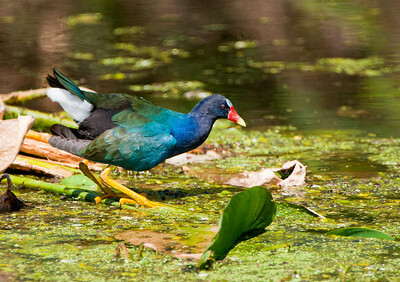 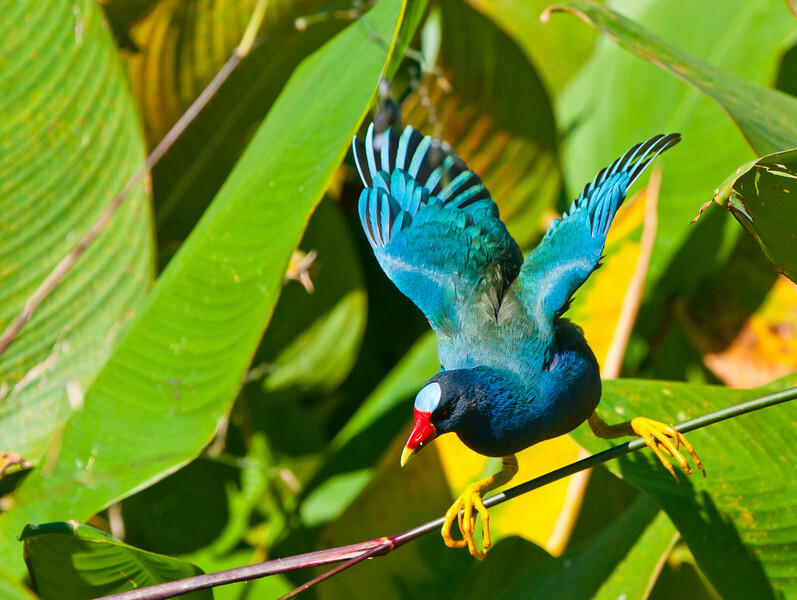 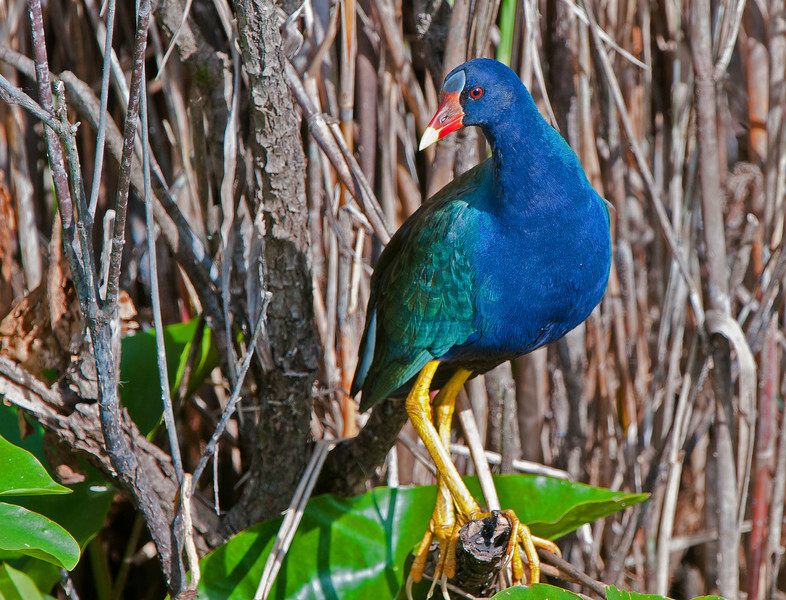 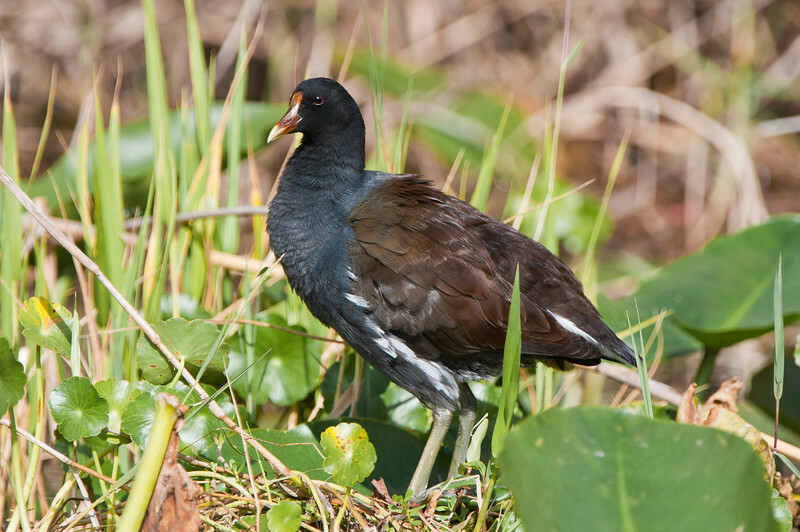 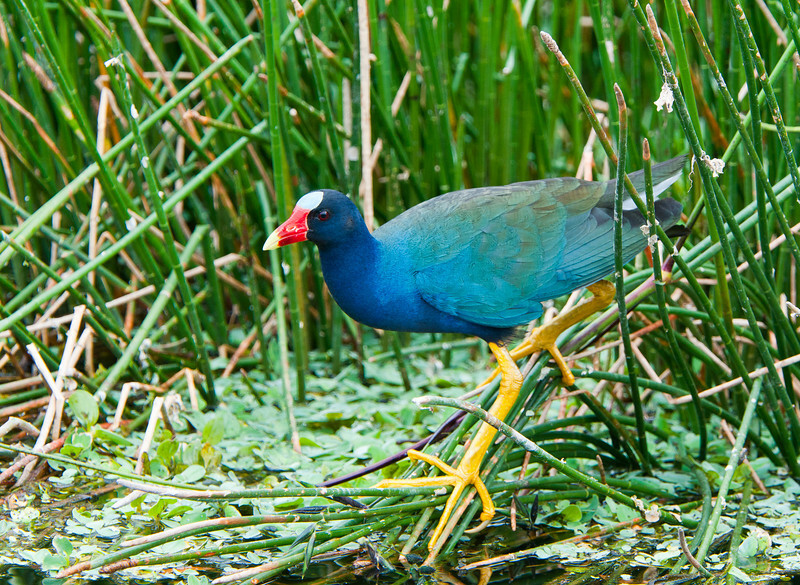 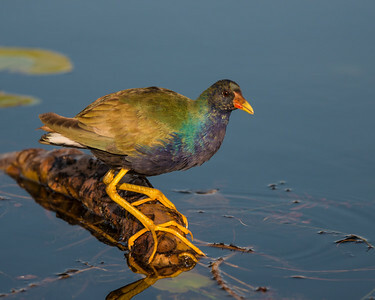 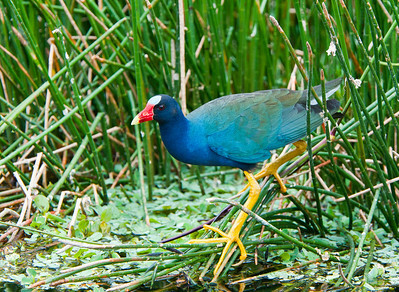 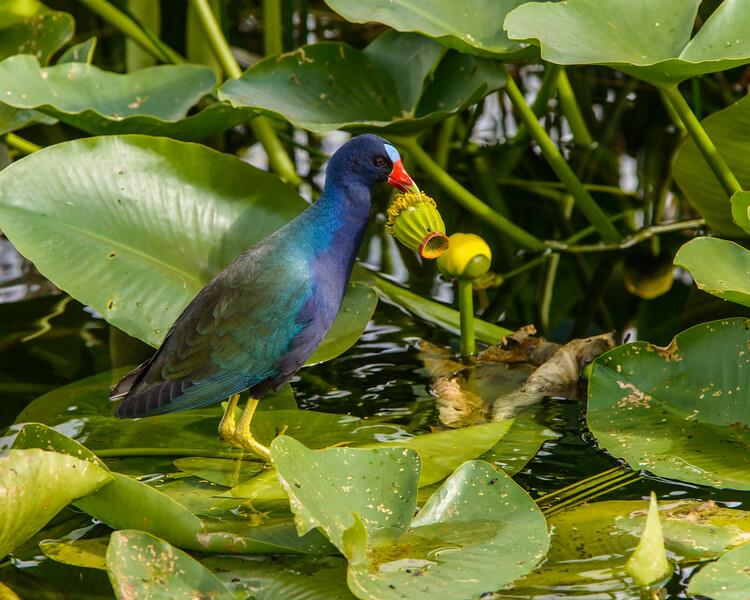 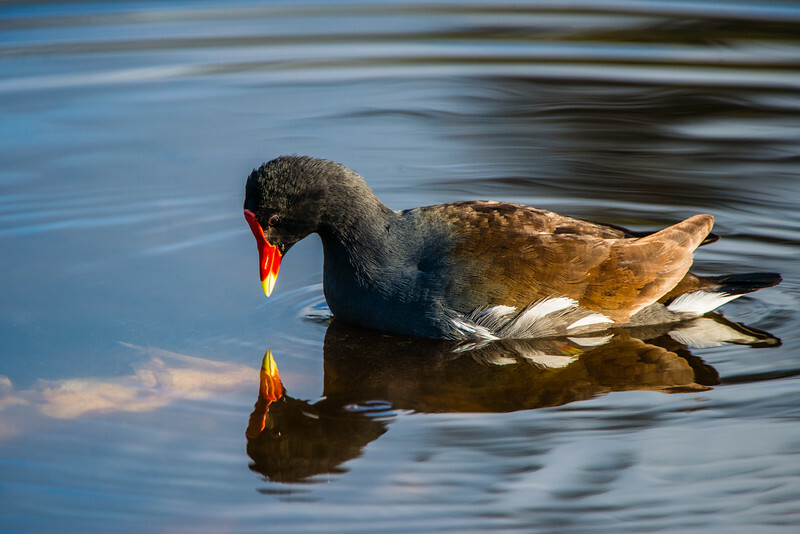 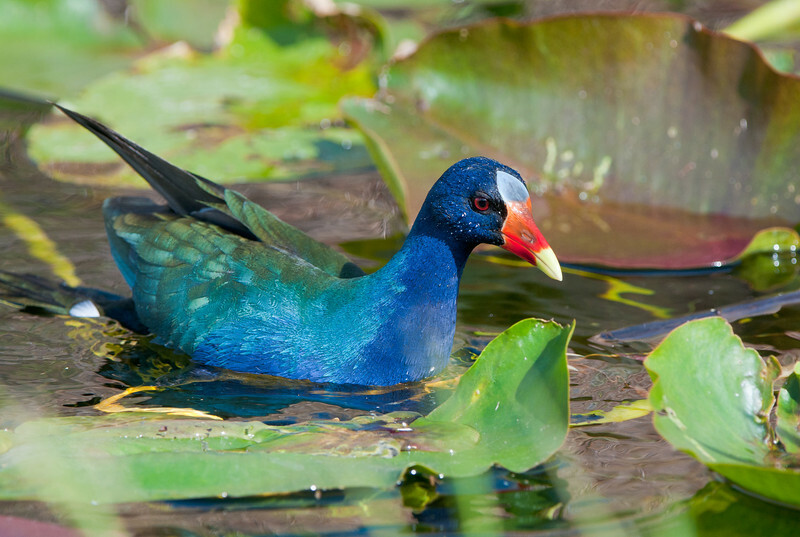 A member of the same family as the coot and the moorhen this colorful and secretive bird is the Purple Gallinule. 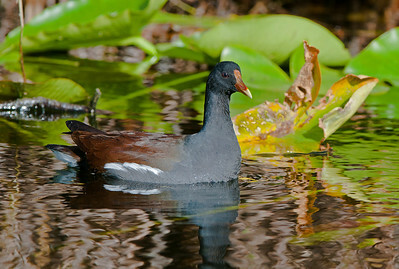 It spends most of its day hiding in the lilly pads. 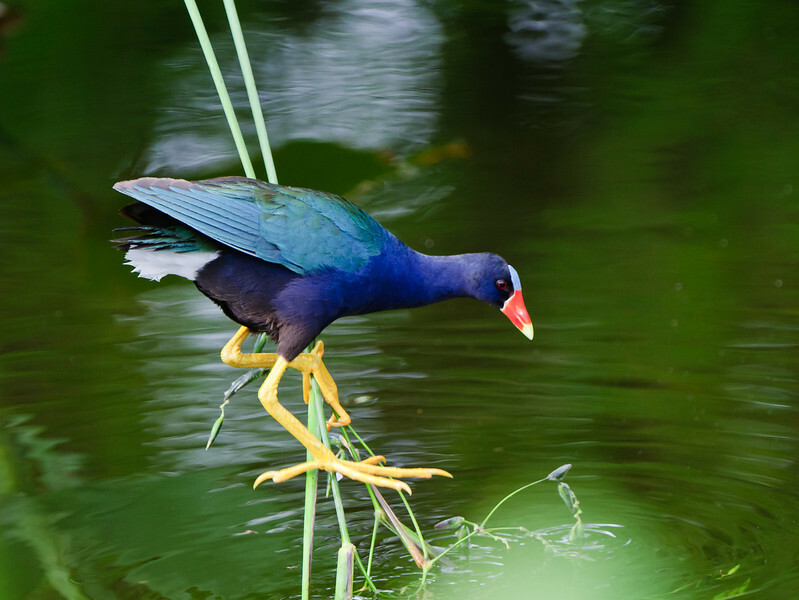 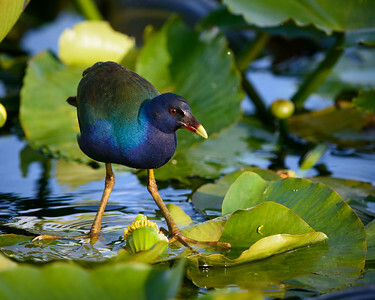 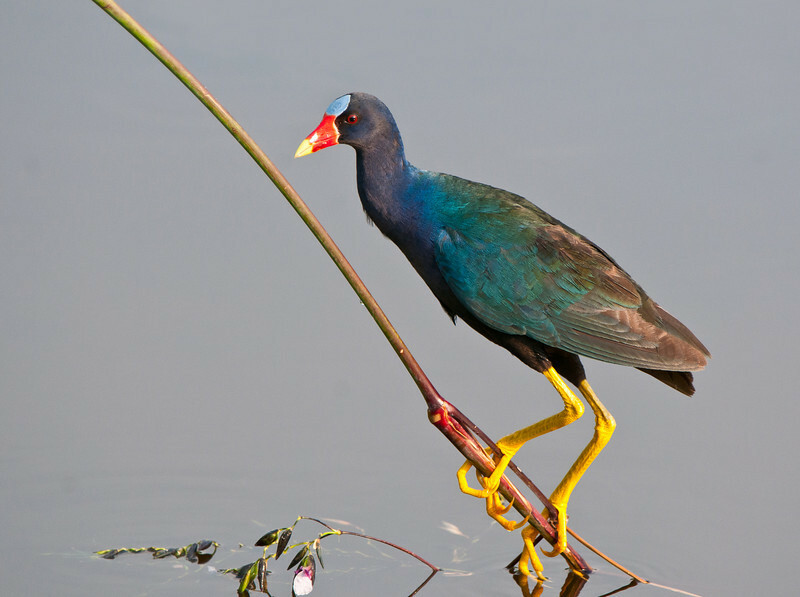 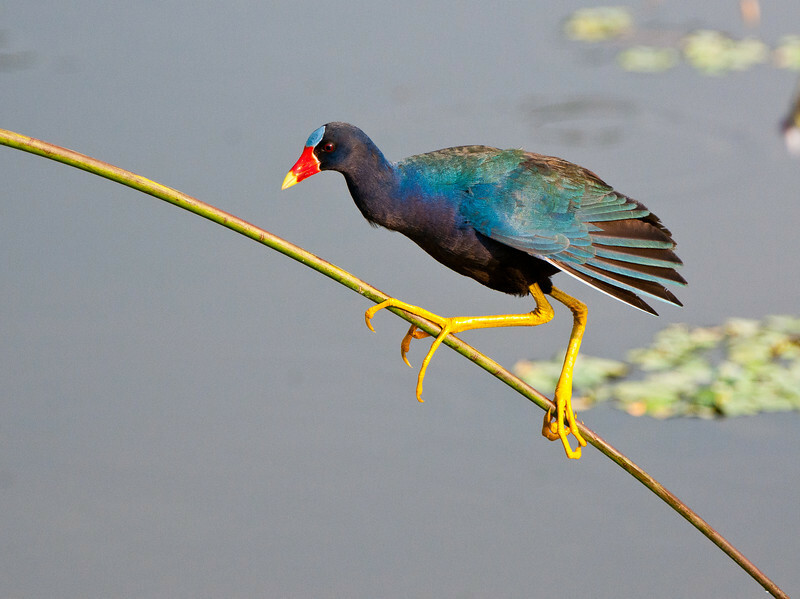 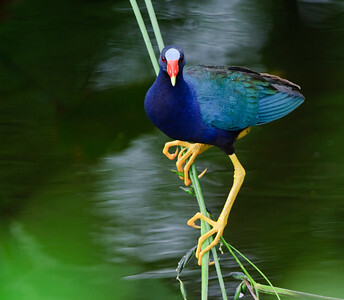 A Purple Gallinule uses his large feet to balance a grasses while it searches for frogs. Purple Gallinule searching the duckweed for a meal. 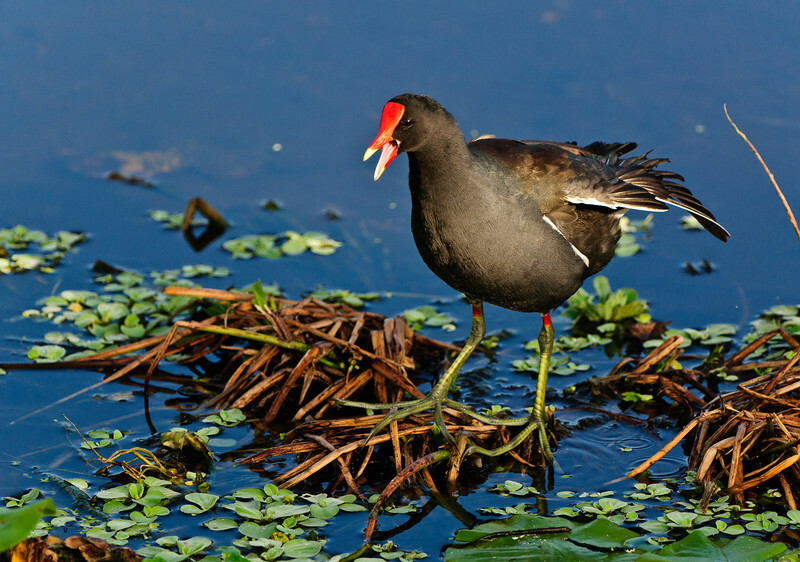 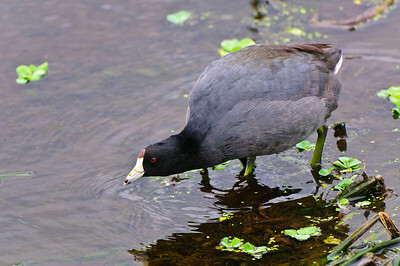 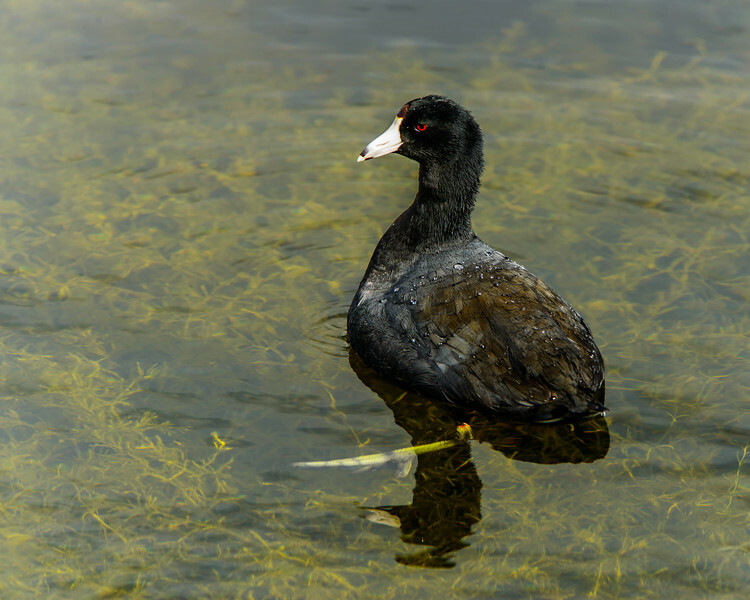 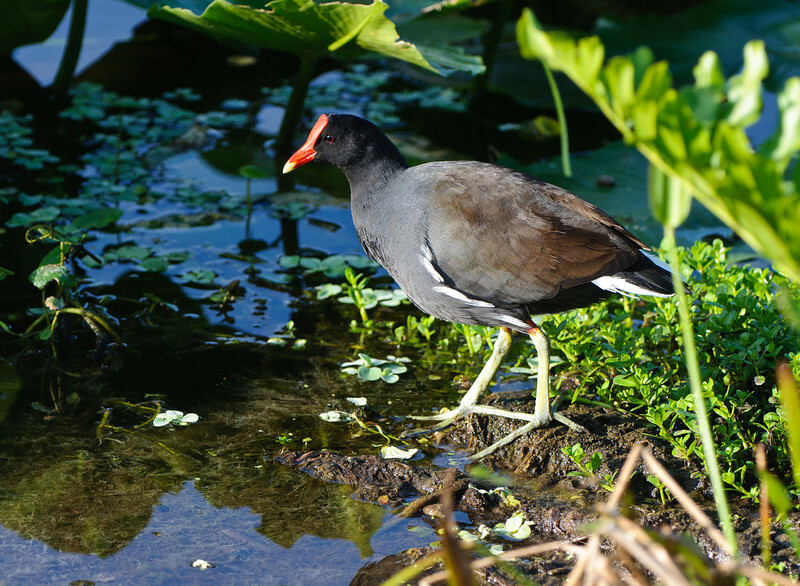 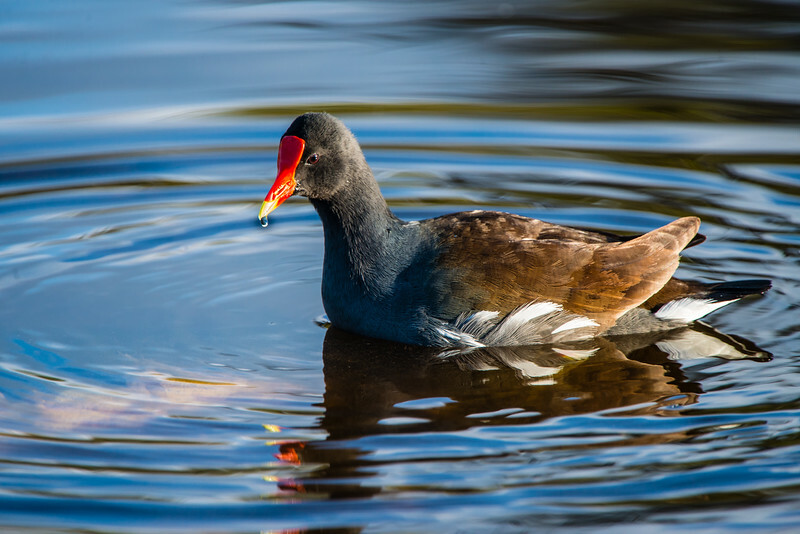 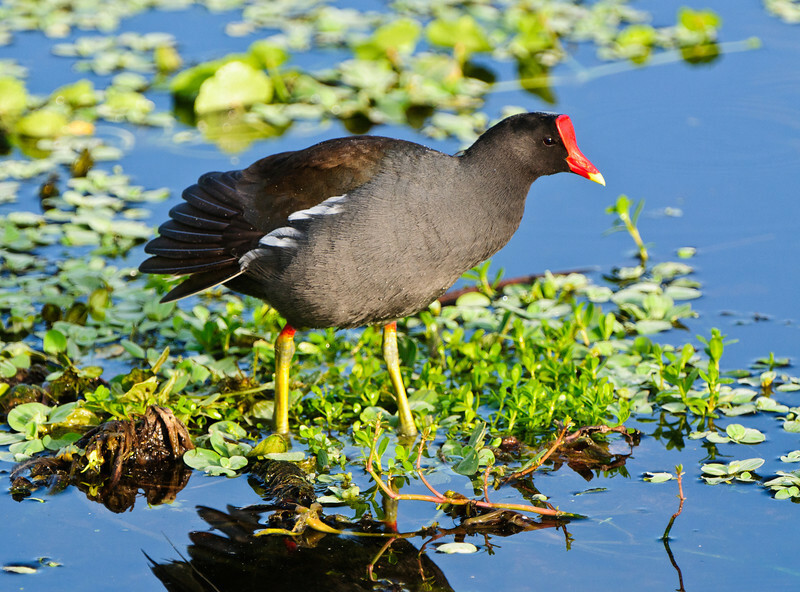 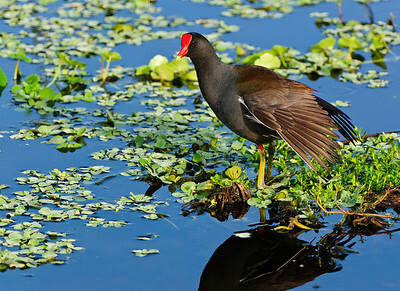 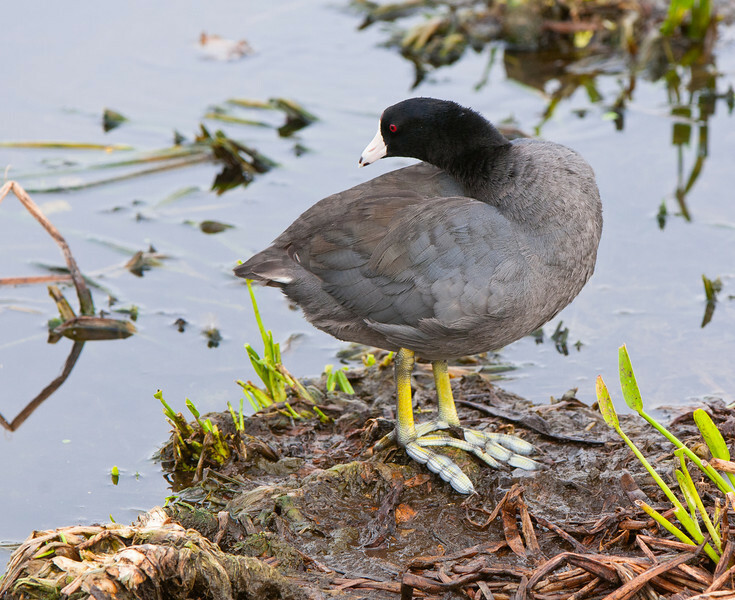 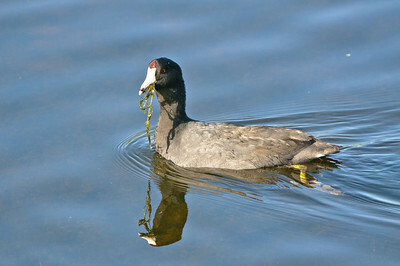 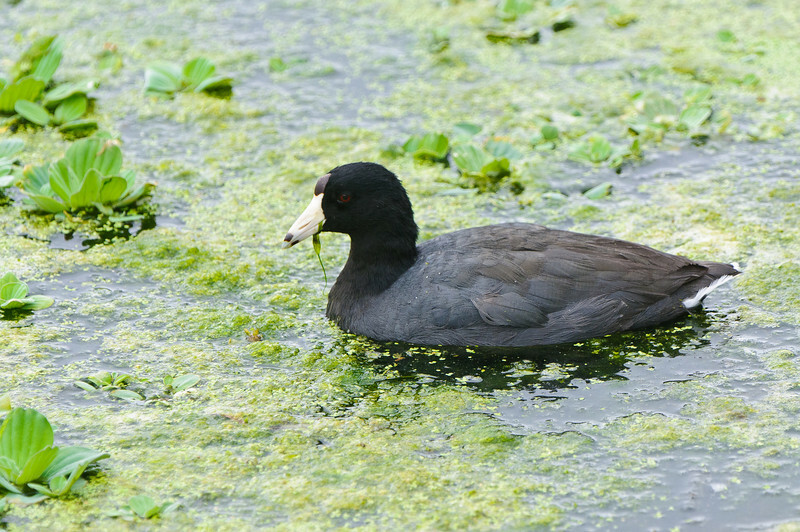 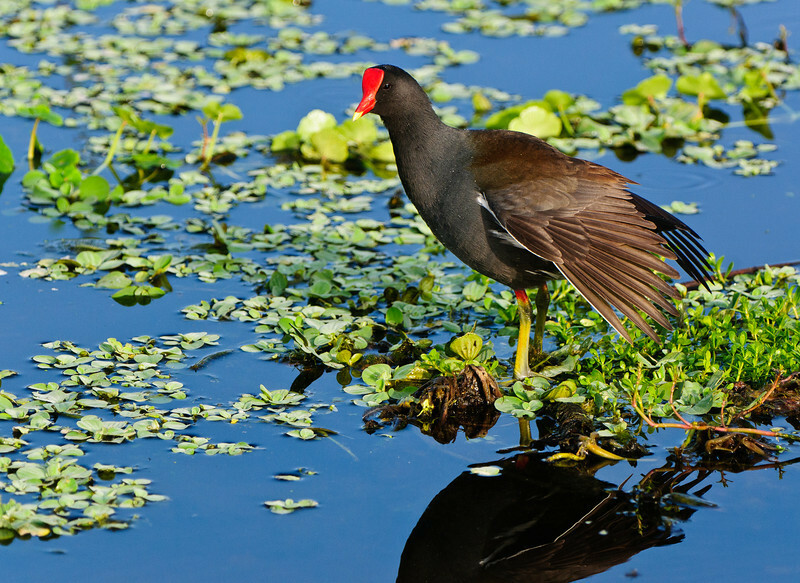 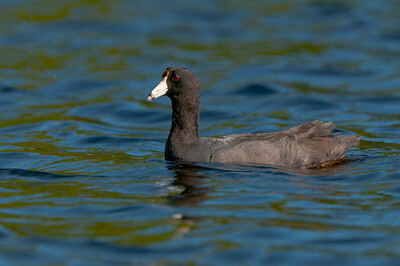 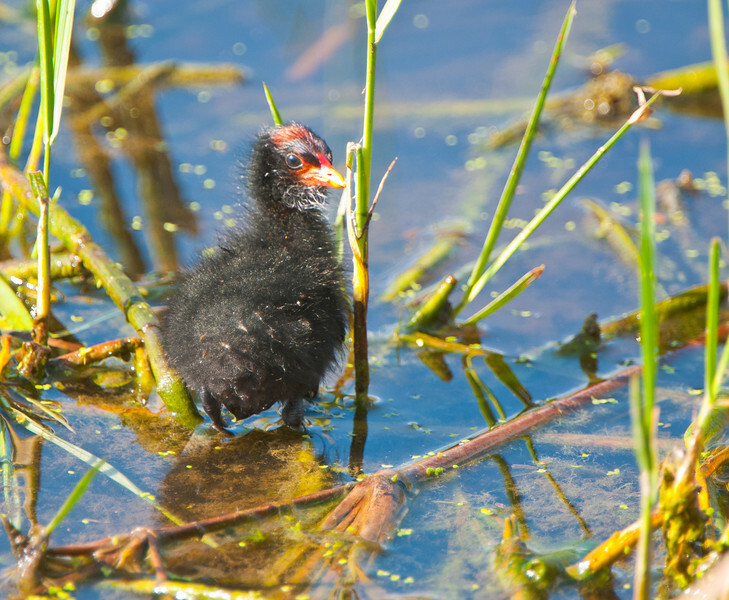 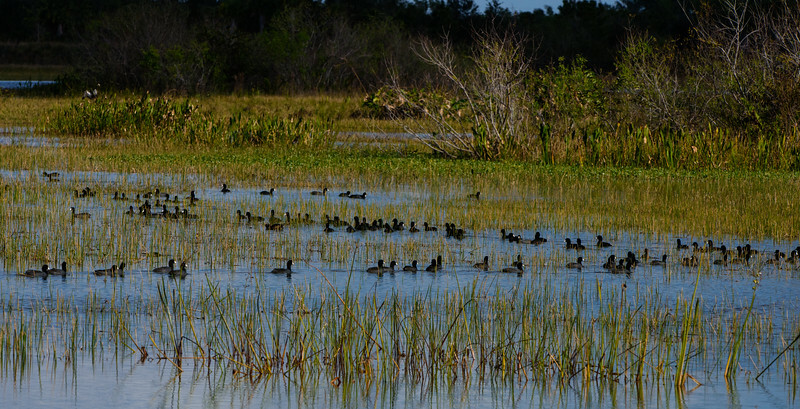 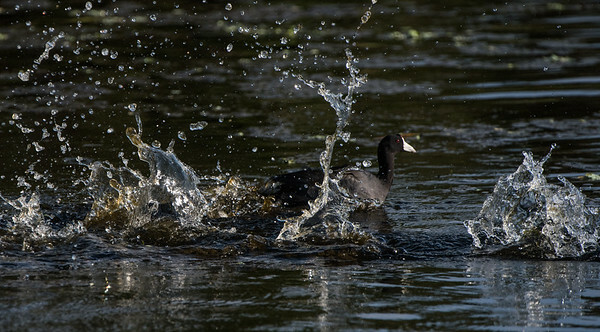 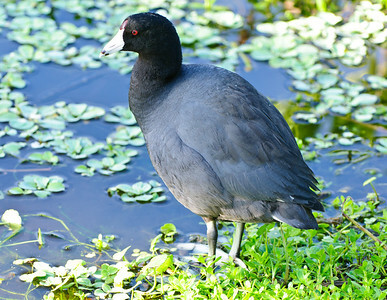 An American Coot displays his large feet with their special adaptation for walking on the floating leaves of everglades plants. A common Moorhen catches earl morning light. 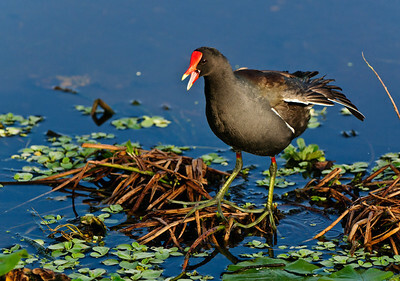 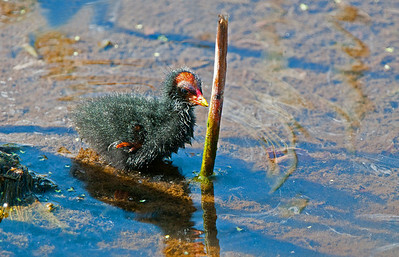 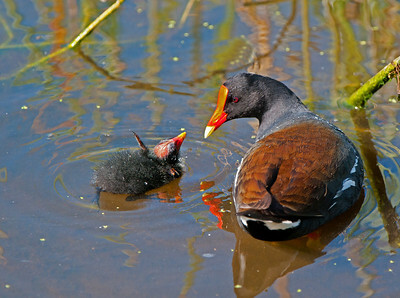 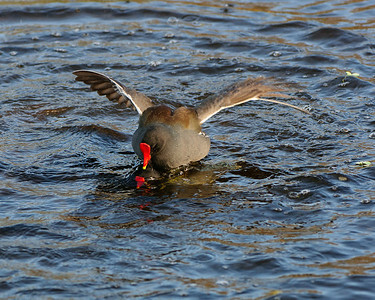 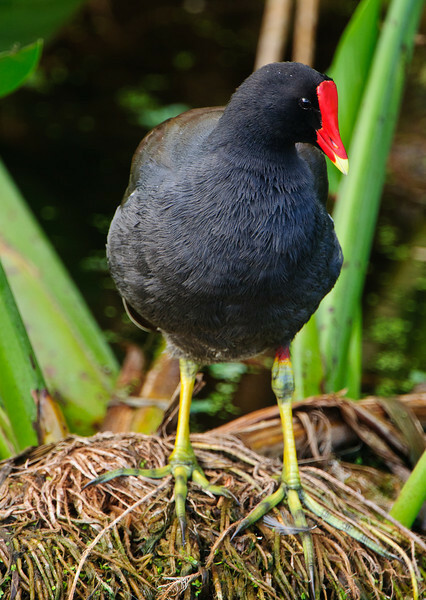 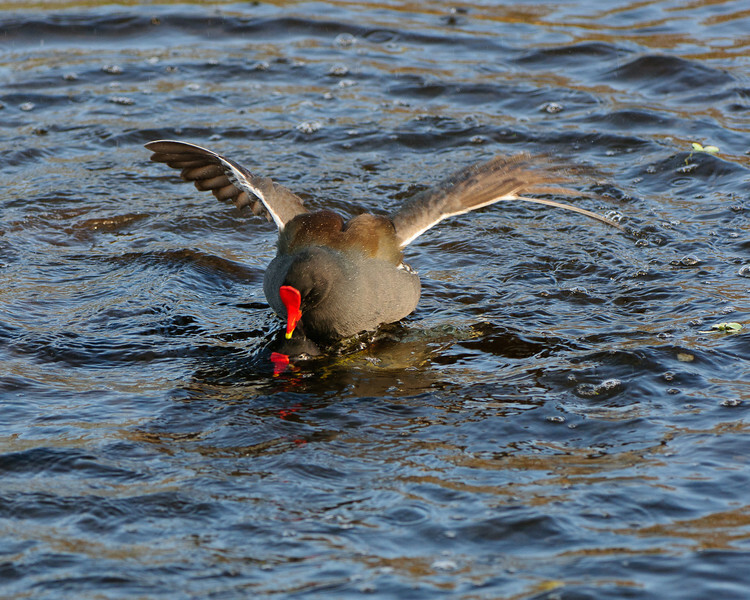 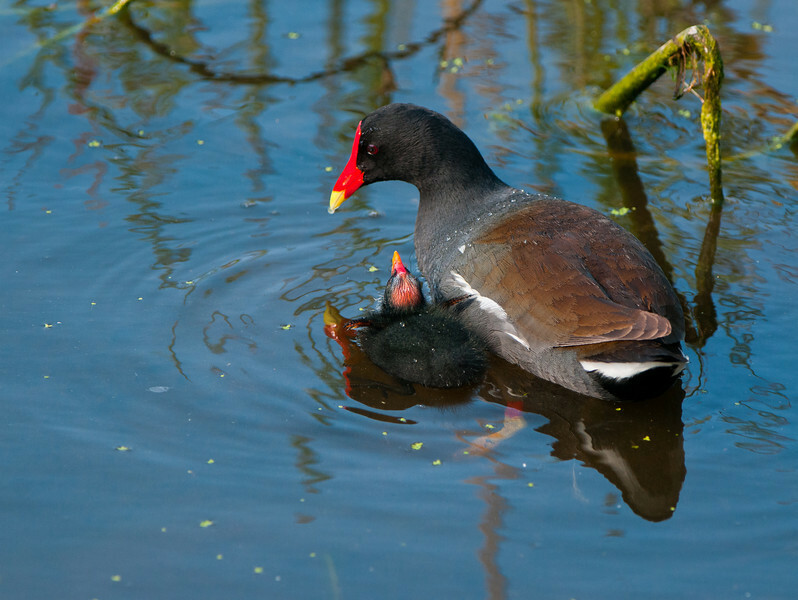 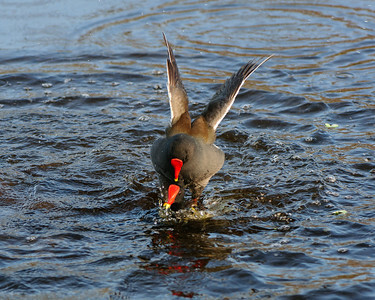 A Moorhen calling for his mate. 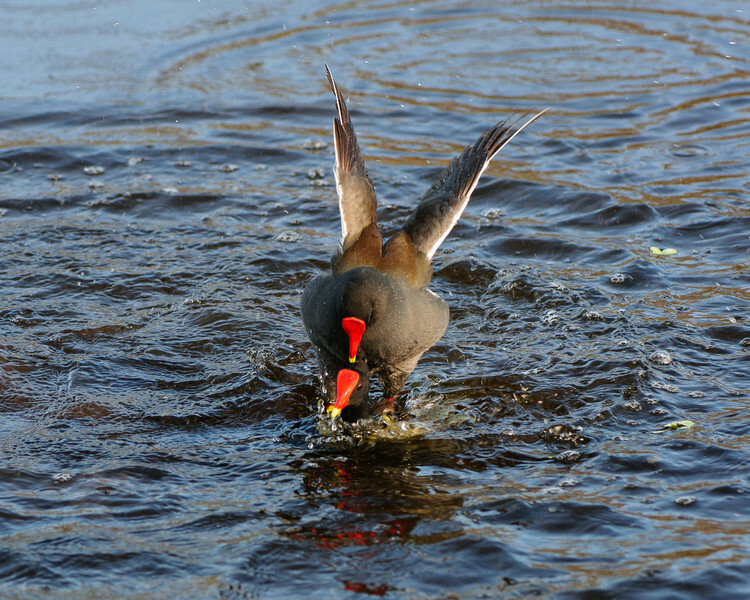 Note the size of the feet to allow running on the water surface. 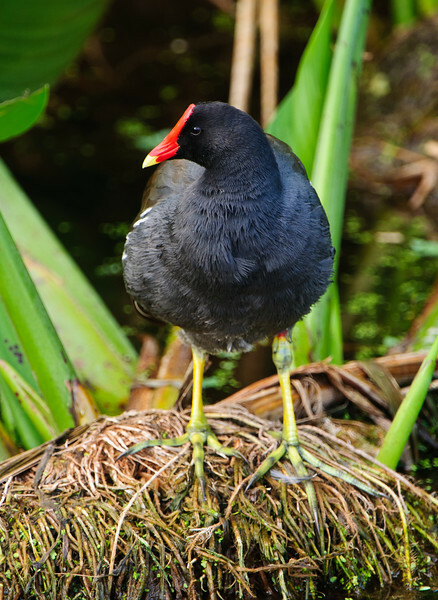 Moorhen showing off his really large feet. 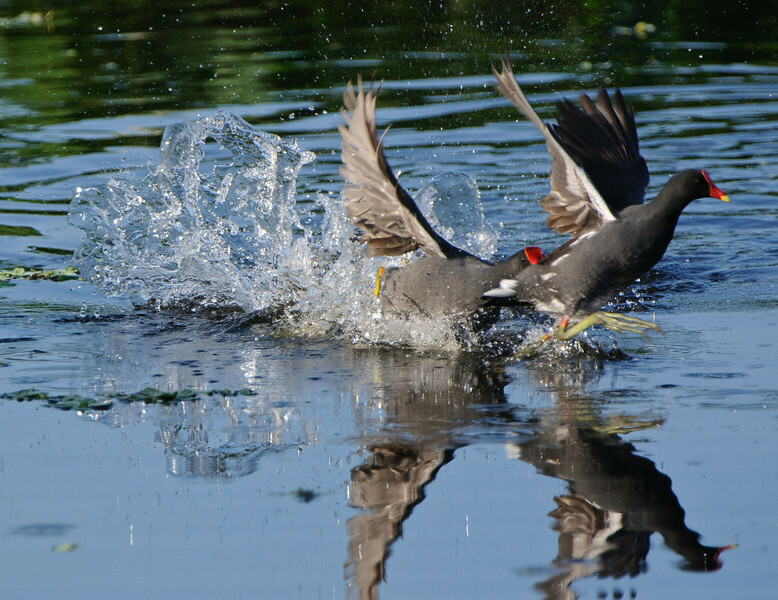 Moorhen chasing off the competition.